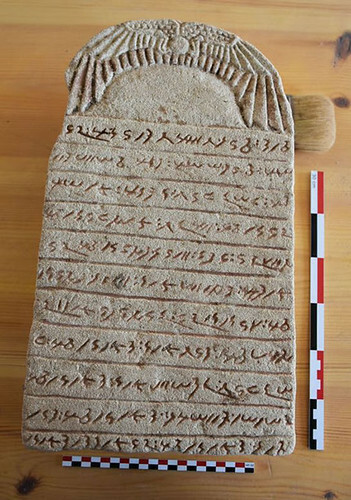 Tombs, steles, and lintels have just been unearthed by an international team, with largest collection of Meroitic inscriptions, the oldest language of black Africa currently known. 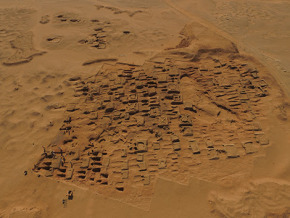 The archaeological site of Sedeinga is located in Sudan, a hundred kilometers to the north of the third cataract of the Nile, on the river’s western shore. 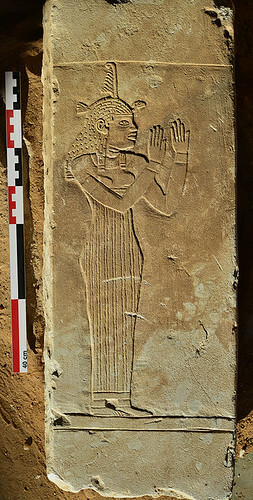 Known especially for being home to the ruins of the Egyptian temple of Queen Tiye, the royal wife of Amenhotep III, the site also includes a large necropolis containing sepulchers dating from the kingdoms of Napata and Meroe (seventh century BCE–fourth century CE), a civilization1 mixing local traditions and Egyptian influences. Tombs, steles, and lintels have just been unearthed by an international team led by researchers from the CNRS and Sorbonne Université as part of the French Section of Sudan’s Directorate of Antiquities, co-funded by the CNRS and the Ministry for Europe and Foreign Affairs.2 They represent one of the largest collections of Meroitic inscriptions, the oldest language of black Africa currently known. The necropolis of Sedeinga stretches across more than twenty-five hectares and is home to the vestiges of at least eighty brick pyramids and over a hundred tombs, dating from the kingdoms of Napata and Meroe (seventh century BCE–fourth century CE). The research programs carried out since 20093 have focused on the chronology of the construction of this necropolis, which is difficult as there is very little remaining historical information on this civilization. The researchers have shown that most of the pyramids and tombs are buildings dating from the era of the Napata kingdom that were later adjusted by the Meroitics. These adjustments were thus made five centuries after the initial building on the site, which the Meroitics supplemented with new chapels built out of brick and sandstone blocks on the western side of the pyramids, and which were intended for the worship of the deceased. This practice was particular to the Napatans and Meroitics, who veritably revered the monuments of the past, unlike their Egyptian neighbors. 1 The kingdoms of Napata and Meroe formed one and the same civilization, known as the “Kush kingdom” by their ancient Egyptian neighbors. 2 The director of the mission, Claude Rilly, is a CNRS researcher at the Langage, Langues et Cultures d’Afrique Noire laboratory (CNRS/Inalco). He is co-leading this mission with Vincent Francigny, director of the SFDAS (MEAE). 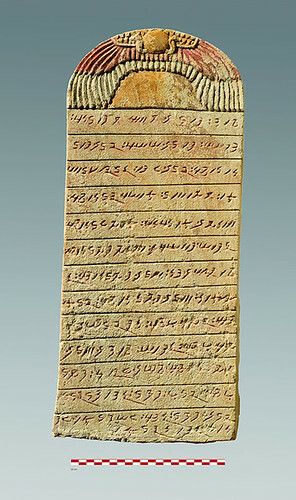 This research has been funded by the excavation commission of the French Ministry for Europe and Foreign Affairs (MEAE) and the Orient et Méditerranée – Textes-Archéologie-Histoire laboratory (CNRS/Sorbonne Université/Université Panthéon-Sorbonne/EPHE/Collège de France). The campaign carried out between November, 14 and December 19, 2017, the last to date, was awarded the Fondation Jean et Marie-Thérèse Leclant prize. 3 Excavation work on the site began in 1963 and recommenced in 2009. It will continue until 2020 and is divided into three four-year plans, the last of which began in November 2017.